Welcome to the world of Renee Garner. 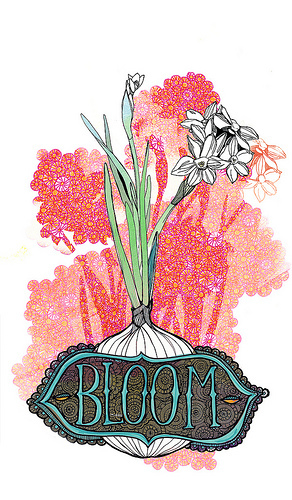 Inspired by vintage seed packets, Vera Neumann, and Nova, Renee draws from nature. Her degree in fibers as fine art is evident in the delicate lines and weaving of colors into every work of art. The processes of gardening and building, learning and discussing, are equally important elements she funnels into art making. She makes her mark in the soil and on paper at her 1-acre permaculture homestead in Matthews, NC alongside her husband, 2 kids and array of furry, feathered, and finned animals. Sign up with your email address to receive quarterly news, product updates and discount codes! We respect your privacy and will immediately remove your name if you choose to unsubscribe.